Part of being in a position of leadership is dispensing of discipline, which any person in such a position could tell you. 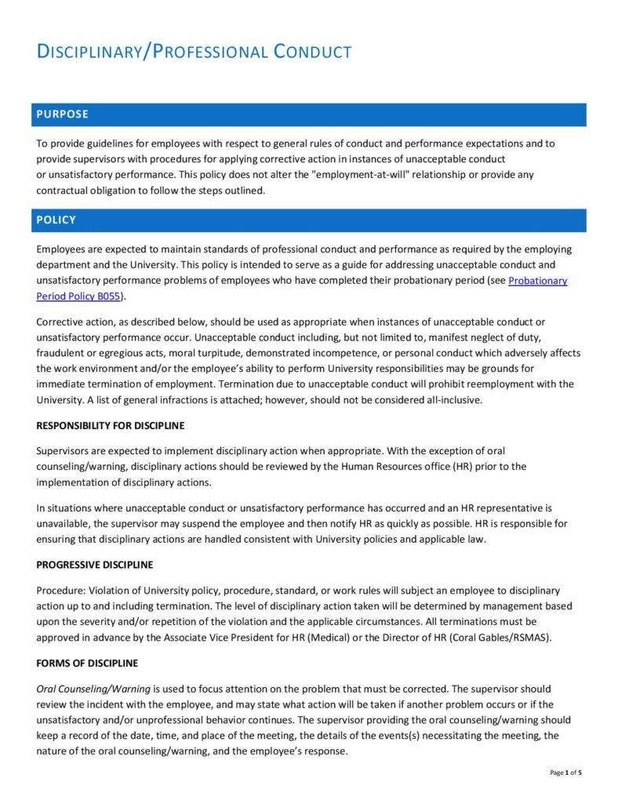 In any institution where discipline needs to be upheld strictly, it is often necessary for those in charge to bring infractions to the attention of perpetrators. 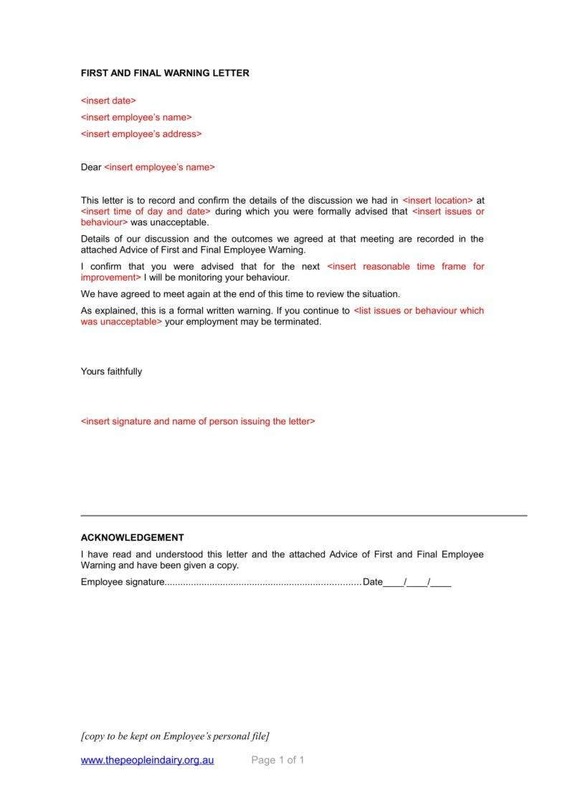 To that end, there are tools that can be used for such purposes, such as official warning letters, that enable managers to accomplish this part of the job. You can make the argument that these letters are one aspect of maintaining proportionate responses to such violations of any rules. After all, only in cases of serious misconduct would you escalate to considering expulsion immediately. In the name of a measured response in these situations, you would need to use behavior warning letters so as to provide fair warning, at least at first. 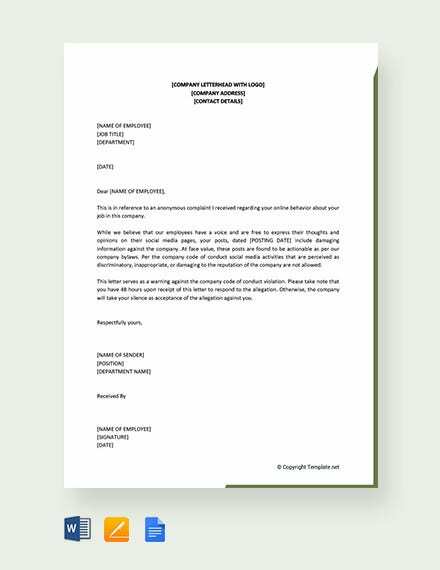 As with other kinds of official letters, it is important to know what to include in such documents so as to be sure that they can do their jobs properly. 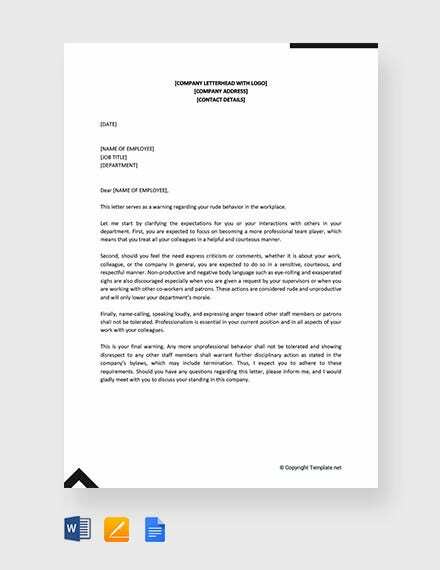 Considering that warning letters like first warning letters have a very specific purpose, it is especially important that you know exactly what you need to include so as to make the letters effective. The most basic part of writing any documents is ensuring that you have written it according to basic business letter standards. This requirement exists so as to make certain that your letters are able to maintain an air of professionalism and respectability so they are taken as seriously as they need to be. Part of the basic requirements of writing letters is including all the necessary background information. In this case, you would need to include personal information of your recipient so as to remove any doubts about who or what the letter is concerned with. This would also help you if the matter should escalate to further disciplinary actions, up to and including legal action. 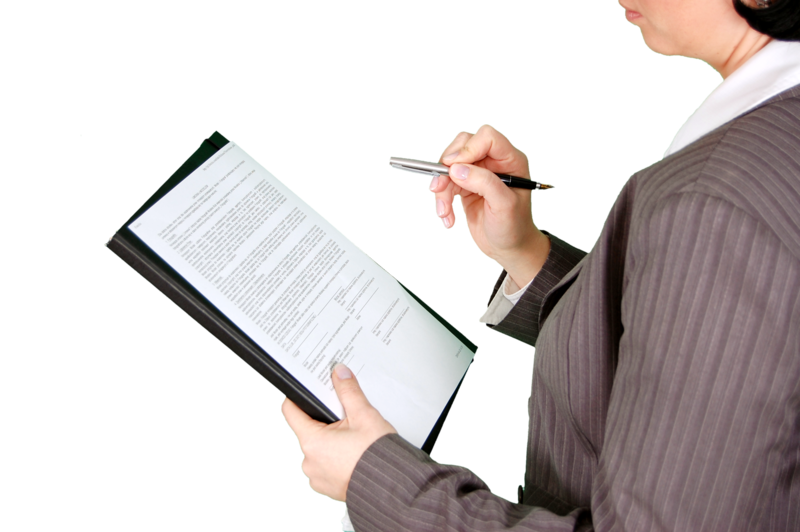 When writing the letter proper, you should begin with stating that the purpose of your letter is to officially provide a warning to the recipient. This helps to establish the point of the letter from the beginning, so as to get to the point quickly and straightforwardly. The letter-writing process would require you to include specific reasons for writing and sending the letter. After all, if you were to send such a warning, the reasons for doing so would need to be added so as to provide your recipient with some context. 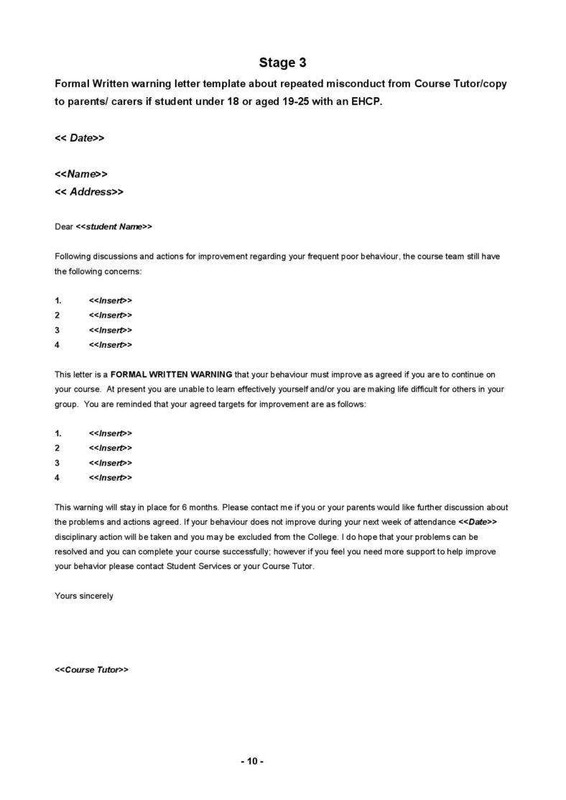 For example, late warning letters should include a statement of the recipient having had a pattern of tardiness so as to establish that fact in writing. In order to make sure that your claims of misconduct are valid, it would help to include specific instances of that behavior. This is particularly vital if these incidents are part of a particular pattern of behavior, as this can make it easier to chart and record these actions. 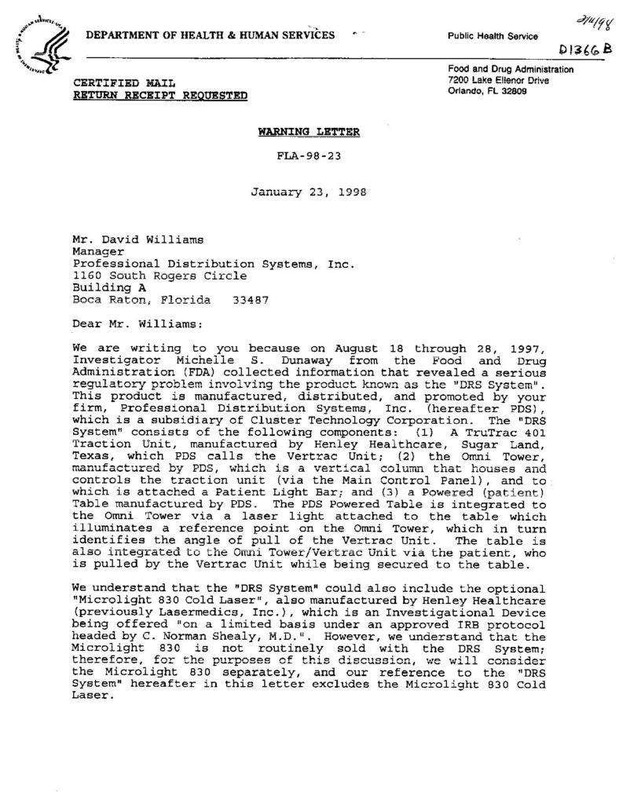 In examples like business warning letters, it is always necessary to include a record of previous actions you took to address any unacceptable behavior. This serves as a reminder to your recipient that proportionate steps have been taken to rectify his behavior, and that his behavior has previously been brought to his attention, if applicable. Your letter may also include a reminder to your recipient of what target goals you may have set so as to help him address his behavior. If the pattern is still persistent, this can serve as a reminder of what is needed to help the recipient shape up. For the sake of fairness, it is also wise to state that further action may be taken in the event that behavior does not improve. While such an act would be a last resort, it still bears mentioning, especially if the current pattern of behavior has persisted for some time. At such a point, it may be necessary for all parties to start considering worst-case scenarios. Specific documents have specific functions related to their purpose for having been written. 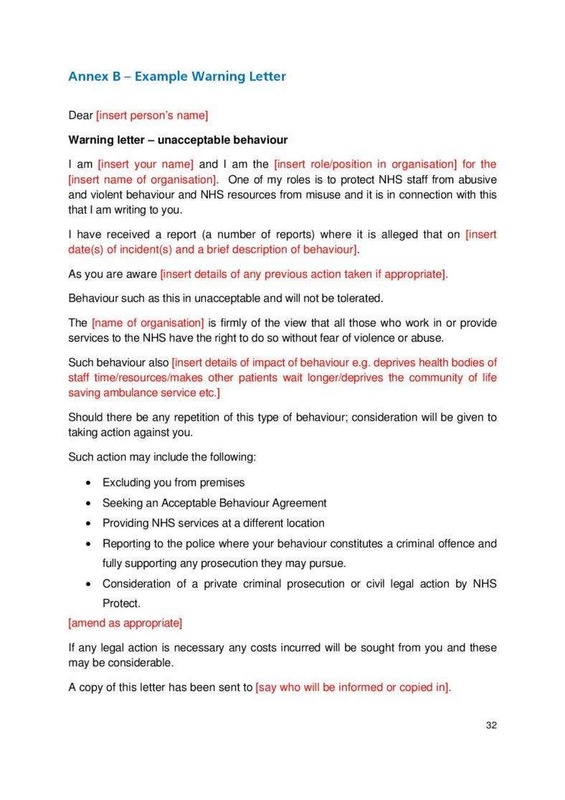 While professional warning letters have the basic function of providing warning of specific unacceptable behavior, there are some nuances that you would do well to be aware of so as to know how to use them most effectively. 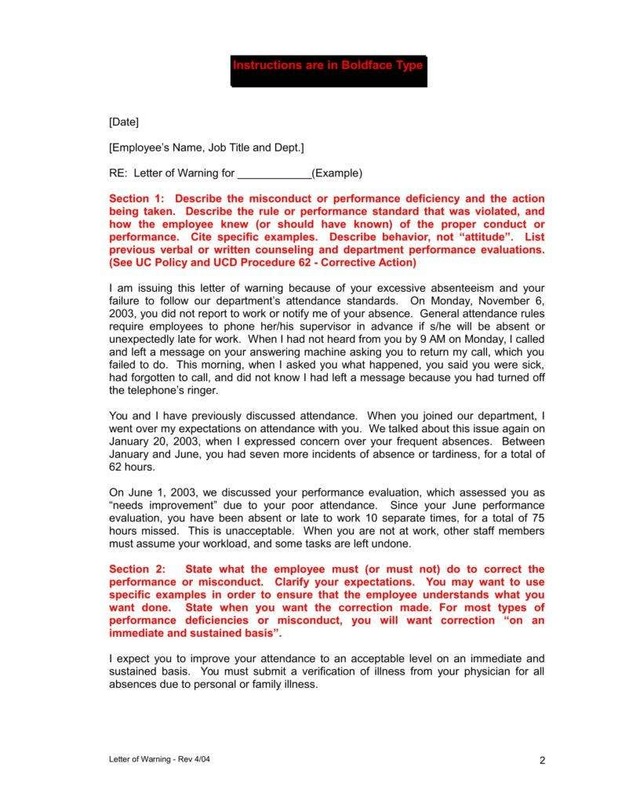 The most basic function of such employee warning letters is to provide notification to recipients that some aspect of their behavior is unacceptable in some way. Of course, there are degrees to which this is true. But at the most basic level, if an infraction is such that a written warning is your first resort, then the act might well be one that does not merit more serious action, at least not initially. Only in the most serious cases would it be appropriate to resort to suspension or expulsion of perpetrators. With that in mind, it is generally more proportionate that you use warning letters before anything else. After all, it is always best for everyone that you use a measured response. This allows you to attempt to salvage the perpetrator without simply getting rid of them, which has more potential benefits for all involved. These letters also possess a threat of escalation to more drastic means of maintaining discipline, implied or otherwise. 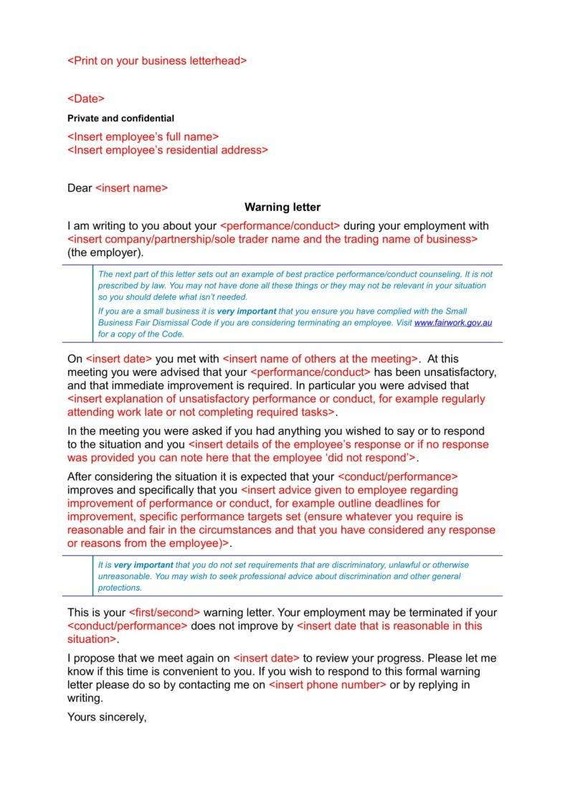 The very fact that company warning letters and others like them resort to warnings first already implies that one’s superiors are prepared to escalate in the event that improvement is not seen. In fact, some letters may even go so far as to spell this out explicitly. In any case, it would be only fair to inform the recipient of the logical conclusion of not shaping up in spite of every effort having been made. It may also help to know exactly what kind of conduct could merit work warning letters. After all, this can be of help to you when you might resort to using such tools. 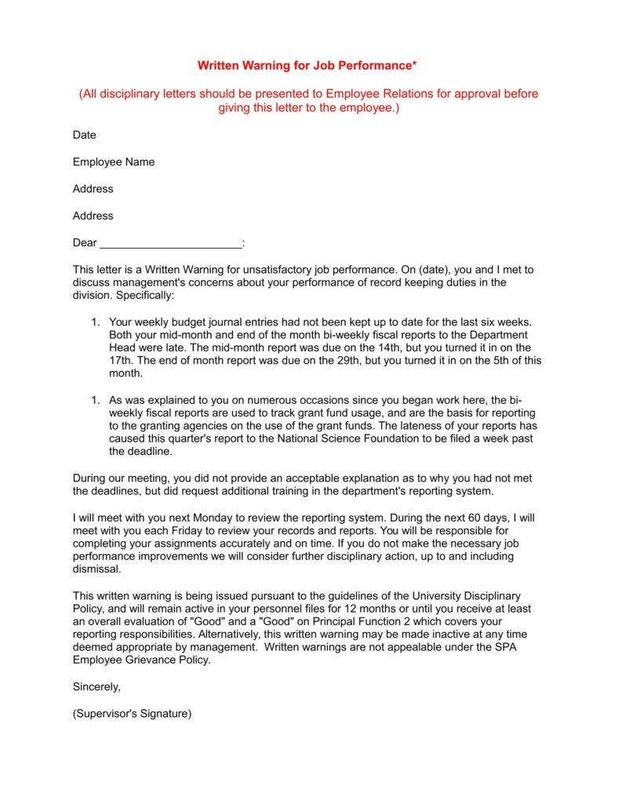 Late attendance, particularly consistent tardiness, would definitely merit the use of attendance warning letter templates to make the relevant letters. After all, in addition to being evidence of a marked lack of discipline, habitual tardiness would have obvious negative consequences on your productivity. In such cases, it would be wise to address this issue as early as possible. 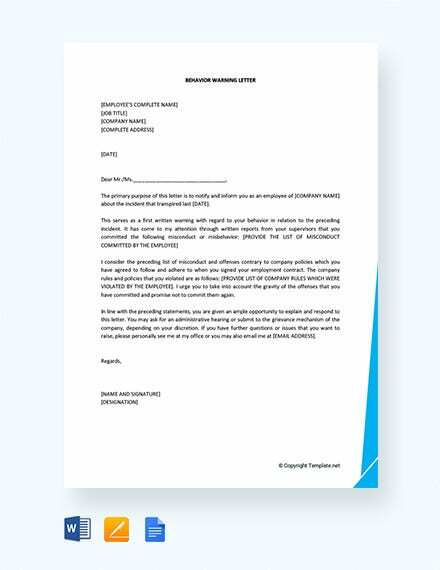 In the event of any kind of misconduct such as violations of any aspect of company policy or the law, in general, are definitely grounds for your sending a warning letter. Employees that violate such bylaws are in great need of warning letters so as to avoid any trouble down the road, particularly any legal action. 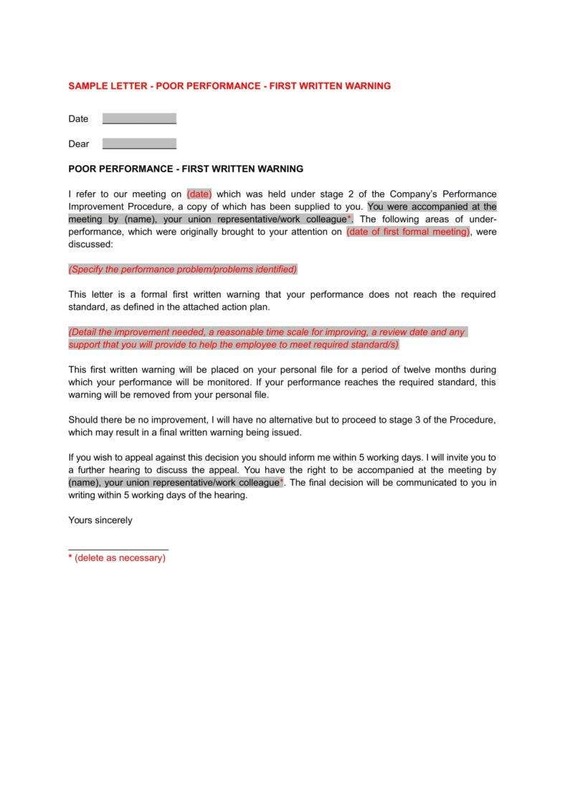 While inefficiency may not seem such a serious issue, it is one that still merits having performance warning letter templates to make one’s letters. After all, inefficiency is the last thing any company would want. Even if inefficiency is not quite as serious an issue as actual misconduct, it is still one that merits addressing as soon as possible. There are some essentials of an employee warning letter that you should do well to keep in mind. Some of those essentials are particular tips and guidelines that can be used to inform how you make such letters so as to make them more effective. After all, there are always such tips that can guide you when writing any other necessary documents. It is important that you be specific whenever you have to cite any past incidents. This includes past infractions, as well as past actions taken to rectify them such as disciplinary meetings. This can serve to provide a record of such actions in case it ever becomes necessary. In any official documentation, it is vital that you stick to the point and not allow yourself to stray off-topic. After all, these documents have very specific functions, which necessitates that you only include whatever content is needed to support that particular point. Being that these letters are intended to serve as warnings, they also implicitly have the goal of aiding their recipients. With that in mind, it is only fair that you include reminders of potential solutions for helping the recipient. This allows you to go an extra step in attempting to help your recipient pull himself up. Keep worst-case scenarios in mind. That said, it may also be prudent to consider what might happen in the event your recipient does not shape up. In that case, the best thing for all parties might be to let the recipient go, issuing them with a termination letter as a consequence. If you have done everything in your power to address the issues to no avail, you may simply have to consider cutting your losses. Hopefully, these insights can provide you with more ideas whenever you have to write any warning letters. After all, if you have to write such documents, it always helps to have every piece of information that could be useful.